Hi. My name is Michelle and I’m a hoarder. My hoard of journals…or is that herd? Flock? Not of objects, cats or trash like on the TV show. But rather, a collector and klepto of words, books, journals, music lyrics, photos and memories. As a child, I devoured books which cultivated a natural desire to feed an audience with my own written words. Jane Austen, Laura Ingalls Wilder and Edgar Allen Poe were chosen over Malibu Barbie and Mom’s extensive library was forever a safe haven on snowy Sunday afternoons. I filled spiral-bound notebooks with poetry, silly limericks and science fiction and deposited them with any poor soul looking for something to read. Our high school English teacher was always supportive of over-the-top enthusiasm and encouraged us all to test the waters with creative writing. As is the case with many, by graduation, I had already accepted the practical reality that mediocre, young writing would never pay the bills. Opting for a safe career in healthcare seemed to be the best decision for future opportunities. A few years into the safe, clinical hospital job, the itch to write gnawed at my brain so I dusted off the pen and tried it again. What started out as innocent “hobby writing” quickly blossomed into a full blown obsession comittment to make something of it. Imagine my joy and excitement after Stock Car Racing magazine published a sarcastic article that mocked my husband’s dirt track racing endeavor and earned me a sweet $350. I was cocky, confident and had an inaccurate and over-inflated view of my own talent. It was under the disguise of humility, but in the end I LOVED saying that I had something published and just assumed that the magazines would come calling and knocking down my door. I wrote and edited the article and sent it if off to Better Homes and Gardens with the smugness of a quarterback moving in on the head cheerleader…it would be sooooo easy! My stomach dropped, tears welled and I took it personally. I didn’t tell anyone about the rejection, not even hubby. Instead, I tucked the shunned manuscript away along with journals that brimmed with hoarded words, phrases and drawings that no one would ever see again. That was sixteen years ago and while those words still sting, I’m so thankful that they came. After reading the original piece again, anyone could see that article was trite and not very well written or interesting. Had this been sent today, I would have accepted the rejection with gratitude and a promise to write and edit better. And learn from it. Timing is everything, right? Back then, I was a snotty, twenty-something with very little to say that wasn’t vain, self-centered or immature. That pen needed to be put away so I could live, grow up and appreciate. It’s so amazing to see what having children, experiencing heartache and enjoying happiness will do to nurture true humility, gratitude and understanding. We all grow and HAVE to grow and I’m so glad that most of you didn’t know the little brat who thought she was “all that” in 1998. Now, I have some news to share. News that fills me with a ton of uncomfortable vanity. That’s the heart of a writer, right? We write from private spaces in our hearts, tell ourselves that it doesn’t matter if no one reads it and then, in the same breath, wail and whine when it’s ignored. Please pay attention/don’t notice, okay!? My post” Chop Wood Carry Water ” just got picked up at MyEmpoweredWorld.com! It was so surprising, humbling, completely exciting and I just had to tell you!! YOU are the folks who inspire me and give me things to write about. I e-mailed Louisa, Tracy and Susanne personal notes this morning and am calling them out publicly right now. From the beginning, they have encouraged me to do something constructive with my random thoughts other than blurting them out in politically incorrect forums. 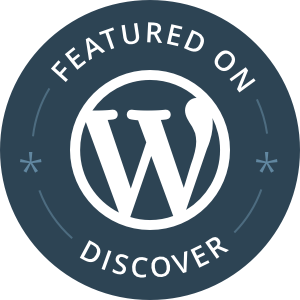 The blogging community on WordPress has been an unexpected pleasure and welcoming excitement in this whole journey. At the risk of missing somebody, I’ll send blanket hugs, chocolate, fruitcake, lacy dresses and gratitude. You all know who you are. Hubby has been my biggest cheerleader, but since he won’t put on my college cheering uniform to fully play the part, I’ll just let him continue to be my quarterback. Hopefully, he’s still talking to me after I publish the Eliminating Husbands article. Yay, yay, yay!!! Love it…and you! Congrats my dear friend – you earned it. Enjoyed reading your post. Your write so well. Congratulations on being picked up by MyEmpowerdworld. I’m not surprised. Thank you so much, Andrew! Your kind words mean more than you know.